Celebrating Dixie’s birthday in Charleston. The Professor book tour had a fabulous few days in the lowcountry, starting in Charleston, South Carolina for an interview with Lowcountry Live, Charleston’s ABC affiliate, and then moving on to Pawleys Island, South Carolina for the Litchfield Books Moveable Feast. 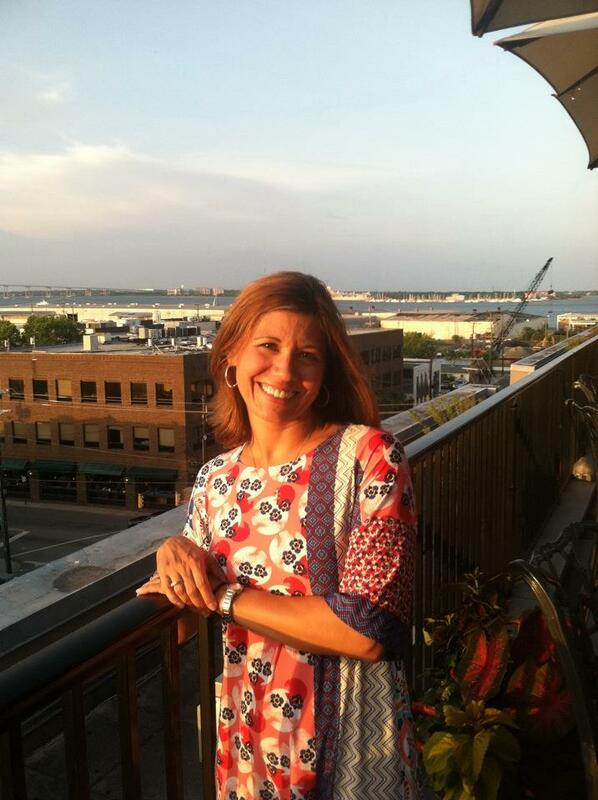 Making this trip extra special was that my wife Dixie’s birthday coincided with the trip, and we were able to celebrate it in two fantastic spots along the Carolina coast. I really enjoyed my interview on Lowcountry Live. 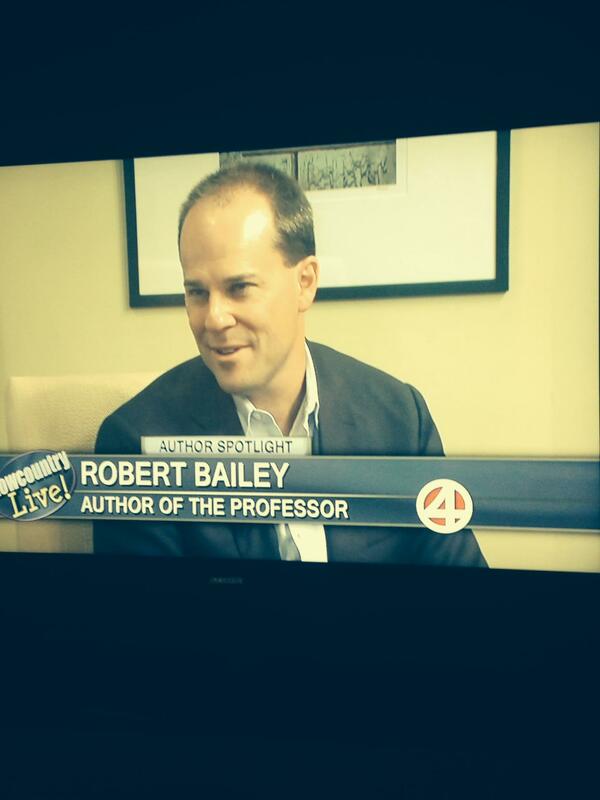 On Thursday, June 26, I was honored to be in the Author Spotlight on Lowcountry Live. I really enjoyed my interview with Tom Crawford, which I will link in a separate post. Tom and I discussed the writing of The Professor along with the story’s focus on redemption, and I couldn’t have asked for a better interview. 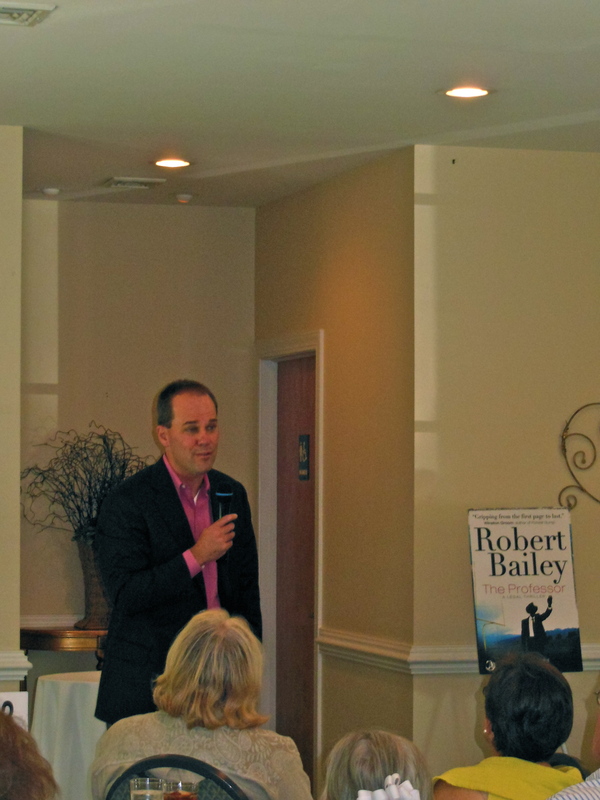 I had a great time talking up The Professor at the Moveable Feast. 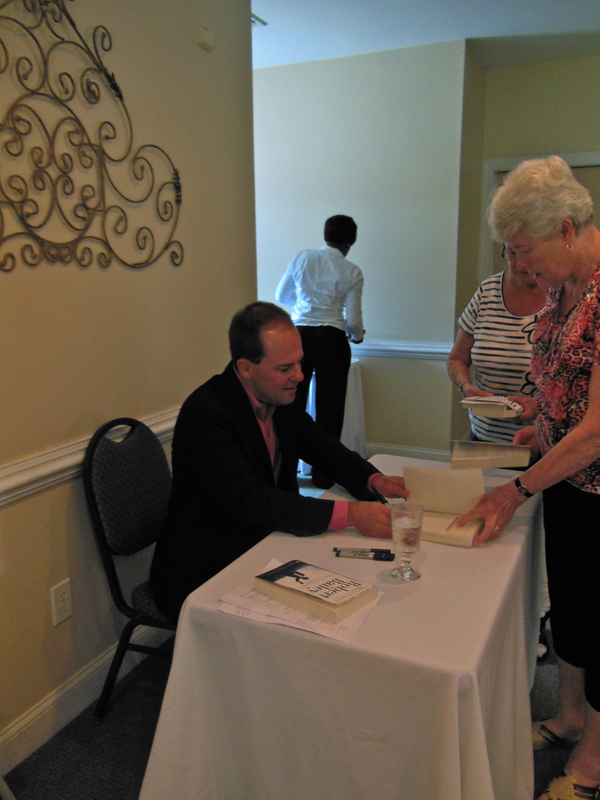 On Friday, June 27, we drove up the coast to Pawleys Island, South Carolina for the Litchfield Books Moveable Feast. 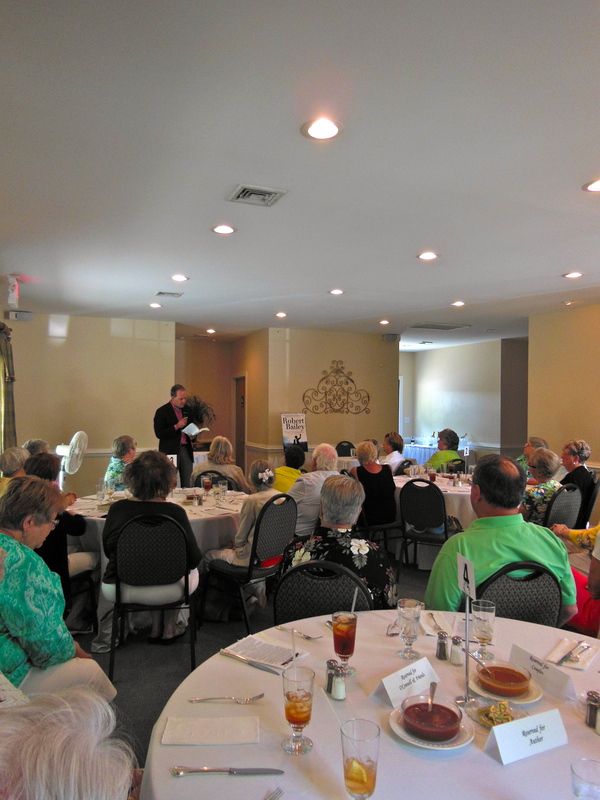 The feast began at Carefree Catering, where, for an audience of approximately 40 people, I spoke about The Professor and how I came to be an author, taking questions from a truly fantastic group of people and signing approximately 25 to 30 copies of The Professor. After a wonderful lunch, we moved the party to Litchfield Books, where we signed a few more books for those that could not make the luncheon. Dixie and I had a wonderful time talking to the owner of the store, Tom Warner, who was nice enough to make dinner reservations for us that night at Frank’s in Pawleys Island, a delightful restaurant. Our three days in the lowcountry were fantastic, and along with the book events, we were able to visit the Charleston Market, see the Battery, and walk the beach at Pawleys Island. All in all, it was a wonderful trip.